Looking down Pinckney Street towards Charles Street. I don't think you could get a better Boston neighborhood shot! Looks like a peaceful part of the city. I loved this perspective too! What a lovely neighborhood! I wouldn't mind sitting in one of those bay windows with a cup of coffee. I can see parking is still at a premium. Somethings never change. What a beautiful city you live in! The trees make such a difference! I've been trying to get one like this in Greenwich Village but haven't been able to decide on one!! Every time I find one, much nicer than the last one! A wonderful and enchanting view: beautiful shot! One of my favorite streets. Haven't walked down it in awhile however. When I think about Boston, that's EXACTLY the kind of picture I have in mind!I love it! I love this photo! I just love those red brick houses. 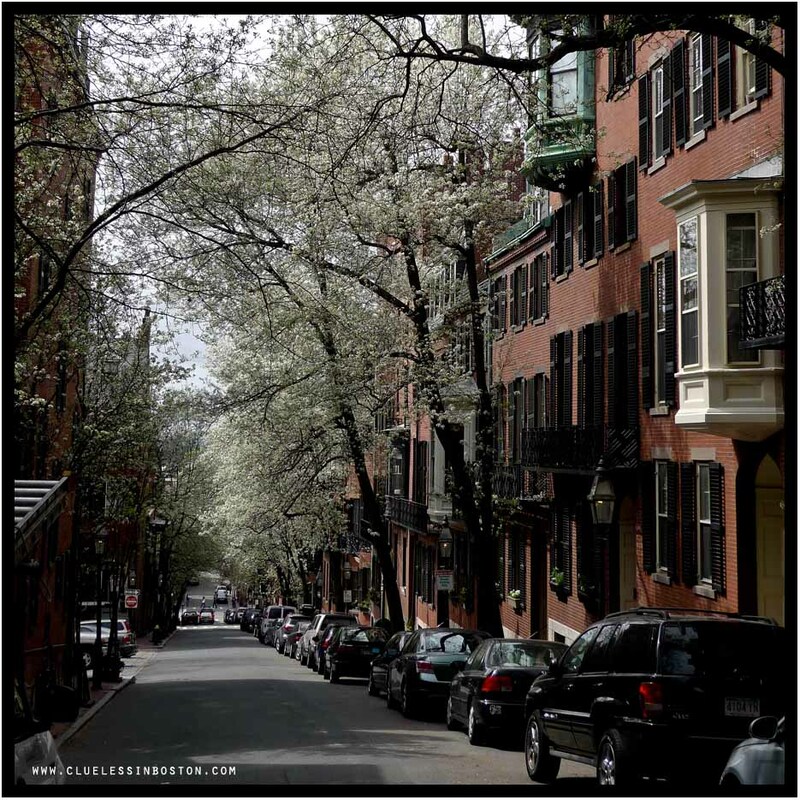 That is what I imagine Boston to look like and your photo really makes me want to visit there more than ever now.